Raipur: The Communist Party of India (Maoist) has apologized for the death of nine civilians, including 7 polling personnel, in landmine blasts triggered by their cadres in Chhattisgarh over the weekend and termed it as a “serious mistake”. “PLGA cadres attacked a bus near Kutru of Bijapur suspecting security personnel were travelling in it. It was a serious mistake on our part and we apologise for it publicly,” spokesperson of Dandakaranya Special Zonal Committee of Maoist Gudsa Usendi said in press release circulated to local media. People’s Liberation Guerrilla Army (PLGA) is the military wing of CPI (Maoists). The committee is an arm of the banned outfit whose members are active in Chhattisgarh, parts of Odisha and Maharashtra. “We express our condolence to the families of the slain polling personnel as well as other civilians (an ambulance driver and a paramedic),” he said. “It’s an irreparable loss and we know asking for apology wouldn’t bring them back. But I want to clarify to their family members that they were not our enemies and they fall under our “friends category”. They died due to our carelessness and mistake,” Usendi said. “We appeal to the family members of those killed or injured, teachers and employees (polling staff), people and human rights organisations to realise we did not deliberately attack them. It was a mistake and it shouldn’t be seen as violation of human rights,” the spokesman added. He asked government employees and journalists not to travel with police or in their vehicles, and told private vehicle operators to desist from ferrying security personnel in the conflict zone. Seven members of a polling team and five CRPF men were among 14 persons killed on 12 April when Naxals had struck twice in a gap of less than an hour, blowing up a bus and an ambulance in Bijapur and Bastar districts of the state. 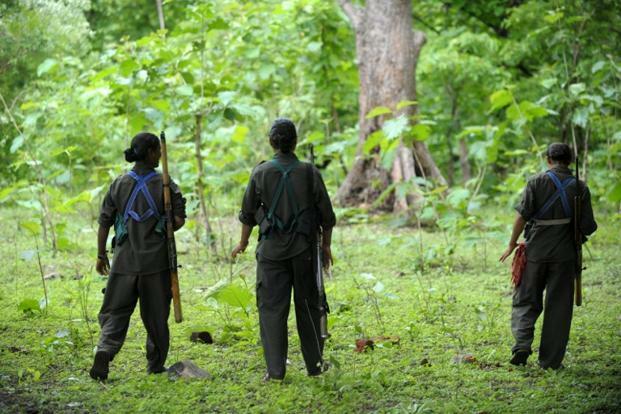 The Naxals had attacked the polling team near Ketulnar village under Kutru police station limits of Bijapur when it was returning after voting in the region on 10 April. In the second incident, the extremists blew up an ambulance carrying CRPF personnel near Kamanar village under Darbha police station in Bastar. Five CRPF men, the ambulance driver and a paramedic technician were killed in the raid. Will the apology bring back the lives? Are the lives of policemen not worth to mention? Fundamentalism & violence from whichever quarter must be condemned squarely.